NEW YORK – The New York State Senate released its budget late last night, dropping the provisions for reproductive health care that were part of the Assembly and the Governor’s budgets. In his Executive Budget, the Governor included several reproductive freedom advances, such as decriminalizing abortion in New York law, the Comprehensive Contraception Coverage Act (CCCA) which would ensure affordable contraception, and provisions for statewide sexuality education and studying maternal mortality. The Assembly yesterday voted to pass the Reproductive Health Act (RHA) and the Comprehensive Contraception Coverage Act (CCCA) which would together safeguard and decriminalize abortion in New York, and ensure affordable contraception for New Yorkers. The Assembly also included both bills in their one-house budget. Despite all this, the New York State Senate chose to thrust the state backwards by failing to include these popular and forward-thinking provisions in its budget, showing this issue is not a priority. In the face of ongoing federal attacks, it is more important than ever that New York stands up to protect reproductive freedom and we applaud the State Assembly for continuing to do so. The National Institute for Reproductive Health (NIRH) condemns the actions of the State Senate and strongly urges them to include the Women’s Health Agenda, which would finally secure a woman’s fundamental right to an abortion regardless of what happens in Congress or at the Supreme Court. As the federal government works to overturn Roe v. Wade, dismantle access to affordable health care, defund Planned Parenthood, reverse the Affordable Care Act’s birth control insurance coverage mandate, and deny federal family planning funds to facilities that provide abortion, state and local legislative action to safeguard access to reproductive health care is increasingly critical. 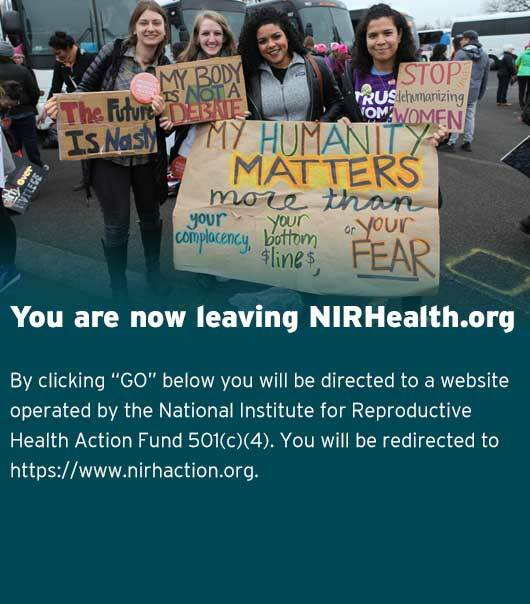 The National Institute for Reproductive Health (NIRH) continues to counter these federal attempts to roll back women’s rights through proactive policy work in New York and across the country.